What sets the Baby Boomer generation apart in the workplace from the Traditionalists that preceded them and the generations that followed them? Baby boomers were born between 1946 and 1964. The oldest the 79 million Baby Boomers reached age 65 in 2011 and the youngest will get there by 2029. Following World War II, the average age of marriage dropped, and the number of children increased dramatically, making the Baby Boomer generation substantially larger than the Traditionalists. Conveniently, this population explosion corresponded with a post-war economic boom (aided by the G.I. Bill and the growth of consumer suburbs). But in the early years of the boom, schools were overcrowded, colleges didn’t have enough seats, and competition for starting jobs was intense. As a result, the young Baby Boomers learned to compete for resources and success. Work-Centric: Baby Boomers are extremely hardworking and motivated by position, perks, and prestige. Baby Boomers relish long work weeks and define themselves by their professional accomplishments. Since they sacrificed a great deal to get where they are in their career, this workaholic generation believes that Generation X and Generation Y should pay their dues and conform to a culture of overwork. Baby Boomers may criticize younger generations for a lack of work ethic and commitment to the workplace. Independent: Baby Boomers are confident, independent and self-reliant. This generation grew up in an era of reform and believe they can change the world. They questioned established authority systems and challenged the status quo. In the legal workplace, Baby Boomers are not afraid of confrontation and will not hesitate to challenge established practices. Goal-Oriented: With increased educational and financial opportunities than previous generations, Baby Boomers are achievement-oriented, dedicated and career-focused. They welcome exciting, challenging projects and strive to make a difference. 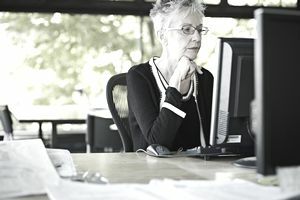 Competitive: Since Baby Boomers equate work and position with self-worth, they are quite competitive in the workplace. They are clever, resourceful and strive to win. Boomers believe in hierarchal structure and rankism and may have a hard time adjusting to workplace flexibility trends. They believe in "face time" at the office and may fault younger generations for working remotely. Self-Actualization: Because the Baby Boomers grew up in a time of mass middle-class affluence, they had time and energy for self-actualization, and the Traditionalists values of conformity and loyalty started to fall apart. Work for the Baby Boomers shifted from a source of stability to a means of self-actualization and self-expression, moderating the Traditionalist love of hierarchical management with an emphasis on structural fairness and equal opportunity. The Baby Boomers entered the legal profession at a time of expansion and change, bringing with them their long-established competitive and workaholic ways and importing their views on social change and self-expression. In law firms, corporations, and other legal employers, Boomers insisted on a modicum of feedback and argued for yearly standardized performance reviews to level the playing field for all employees. With the booming economy, it was relatively easy to advance up the ranks to law firm partnership, even though hard work and substantial billable hours were still required. The joke among many Boomer law partners is that they’d never be able to make partner today, and probably wouldn’t have had the credentials to even be hired as an associate. Over the course of Boomer careers, firm salaries and equity payouts exploded, and they’d largely avoided student loans and other debt, due to the expansion of public education and the booming economy, leaving partners at the top of a seemingly endlessly widening pyramid. Outside of the relatively conservative firm context, Boomers used the legal workplace to fight for their deeply-held beliefs, advancing the rights of women and minorities in the courts via impact litigation. Women started to become a more frequent presence in the legal workplace (as attorneys, rather than secretaries), opening up opportunities, but also creating areas of frisson and conflict. As women flooded into the workplace, the birthrate dropped substantially, resulting in the baby-bust Generation X—25% smaller than the Baby Boomers. As the booming economy slowed down, Generation X entered the workplace, bringing derision and concern over their “slacker” values, but also a degree of tech-savvy know how that the legal profession had never before seen. This generational segment constituted a large majority of law firm leaders, corporate executives, senior paralegals, and legal managers. By 2010, nearly 70 percent of law firm partners were Baby Boomers. However, the oldest Boomers began reaching retirement age in 2011. This sets the stage for an unprecedented turnover of leadership in the coming years.